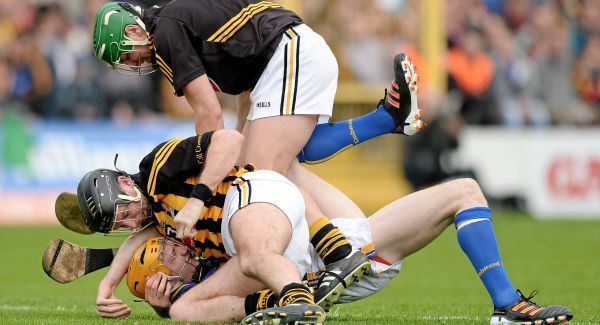 Former Kilkenny star Eddie Brennan has defended his county’s attitude on the pitch and claims Lar Corbett’s injury did not happen after the tussle with JJ Delaney and Eoin Murphy in the league final win over Tipperary. “I think it was unfair to suggest after the league final that the Lar Corbett injury was anything other than accidental,” he said in response to suggestions that Kilkenny had a special plan to deal with Corbett and there was a tough edge to their game. “This sort of situation arose with Kilkenny in the past when it was suggested they played on the edge. This time things were pushed a little further, which was unfair. The eight-time All-Ireland medal winner is the first Kilkenny person to speak out about the incident. “I looked at the video again. Lar Corbett didn’t get the injury in the incident with Delaney,” said Brennan. In the run-up to Sunday’s opening championship outing against Offaly, the former All Star encouraged Kilkenny to carry on regardless.